We talk with specialist Cake Designer and ambassador for Ovarian Cancer Australia's Afternoon Teal campaign, Kerry Vincent. After thirteen seasons Kerry Vincent often referred to, as the Simon Cowell of cake is still the judge to fear on the Food Network Challenge. Add to that Last Cake Standing 1 & 2 and the Great Australian Bake Off. Kerry hosts Save My Bakery, a makeover series, is a visiting presenter on HSN for Disney, directs and stages the Oklahoma State Sugar Art Show, is a freelance writer, author, presenter and world traveller. She is also the high profile national ambassador for Ovarian Cancer Australia and was inducted into the International Cake Exploration Société Hall of Fame in 2004 Washington DC, Dessert Professional Hall of Fame 2010 New York, and a Lifetime Achievement Award in New York 2016. 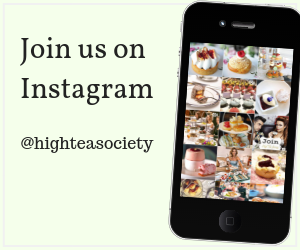 Do you have tips for when we are hosting a high tea party at home? I have learned from experience not to get too carried away and overdo, that it is ok to enjoy the party rather than become a slave to it. Cut the rush, set the table completely and arrange the flowers the day before. Plan the menu and make sure it is a mix of sweet and savoury, “No you don’t have to make everything last minute just before guests step through the door.” Quality is not compromised. You have no idea how many hostesses think they have to prepare everything eleventh hour and are sweating bullets trying to beat the clock. Sandwiches can be made earlier in the day and even the night before as long as they are properly packed, draped with a sheet of Glad wrap and a second layer of damp/dry muslin cloth before refrigerating in a sealed plastic container. Devilled or curried eggs can also be made the day before and refrigerated. Prepare biscuits, cheese straws, shortbread and similar fare a week ahead and store in airtight containers. Choose cakes that can be made a day or two in advance or freeze for a week before serving. To successfully avoid condensation issues when defrosting any frozen, simply iced, dense cake with no decor, it’s best to take it from the freezer midday the day before and rest it in the refrigerator overnight. Remove it to room temperature early in the morning. If the cake is not iced, it will be ready to ice around lunchtime. If it needs any piping or additional toppings, such as berries or nuts, then this is the time. To prevent a cake drying out, place it in a cool spot covered with a dome, or tented with plastic wrap or foil after the icing sets or crusts until serving time. 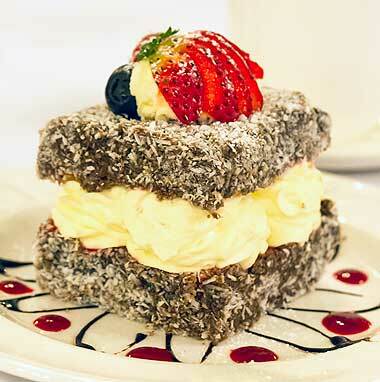 Cream-filled cakes must be refrigerated until a few minutes before guests arrive. Take a break from your everyday standard leaf tea, or add to it, by offering something new for a change. One of my Australian favourites is Madura breakfast tea it’s delicious with or without milk or for a bit of drama serve some infusers of fragrant Dragon Pearls. Madura has an excellent range of teas to suit all occasions. Dropping Dragon Pearls into a cup of boiling water or a glass teapot and watching them flower is an excellent icebreaker. If you aren’t, and have no intention of ever being, the hostess master baker extraordinaire, create a mix of homemade and store bought goodies and don’t ever apologize, because no one will notice, after all the most important thing is having company in, friendship, conversation and camaraderie. To be sure all of your friends are available for your event send a Save the Date by e-mail with a handwritten invitation to follow. Few people write these days so this personal touch is treasured, saved and recalled. 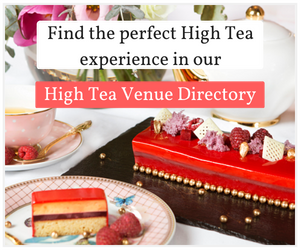 Do you have a favourite afternoon tea (high tea) venue? Oh dear, such a question, I make it my business to visit tearooms everywhere foreign and domestic. It is my obsession. Some are forgettable and others become great favourites. Frankly, if I had my choice I would prefer to sit down to afternoon tea and not bother about dinner at all. 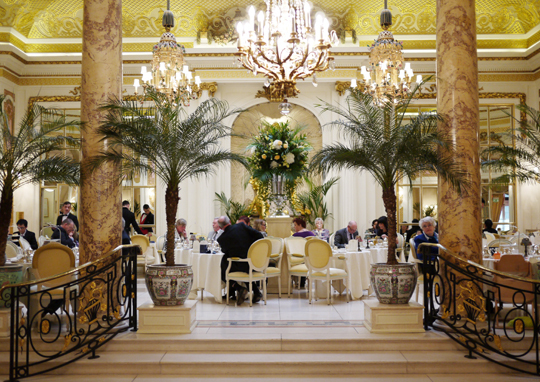 Of course The Ritz is a ‘no miss’ whenever I am in London, but perhaps your readers would like a recommendation from across the ocean blue in my neck of the woods. Let’s say New Orleans, Louisiana (otherwise known as the Crescent City). 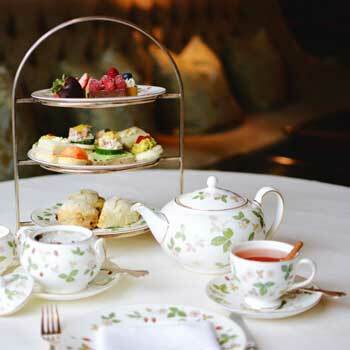 One of the most popular spots with the locals is Le Salon, Windsor Court, where well-dressed southern ladies with manners, love to wile away an afternoon with friends and family and their children. There are themed and dress-up teas such as Mardi Gras: King Cake is served amidst Krewe beads and doubloons; costumes de rigueuer for Trick or Treat at Halloween or the Prohibition tea where cocktails are secreted in teacups speakeasy style, as well of course conventional teas. 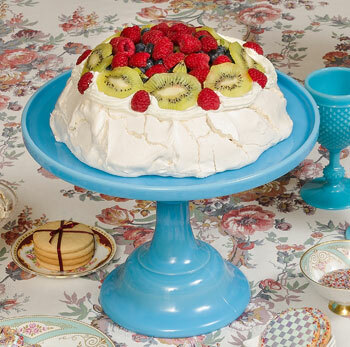 Tea fare is quite delicious, tiered stands are ferried back and forth from the kitchen and are loaded with the usual suspects, scones, jam and vanilla bean whipped cream, lemon curd, filled tartlets, pastries, miniature truffles and chocolate cakes. The standouts, curry chicken salad crammed into tiny pate a choux cases and lobster salad sandwiches. Tealeaf varietals offered are excellent and make the range from white, green, oolong and black with Tisanes and Rooibos. Tea is brewed and served in Wedgwood China and each table seems to have a different pattern. In the background the graceful fingers of an accomplished harpist sweep across mellow strings creating lush chords adding a depth of ambiance to the hushed room. 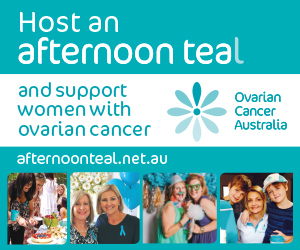 Can you tell us about the Ovarian Cancer Australia’s Afternoon Teal fundraising campaign? 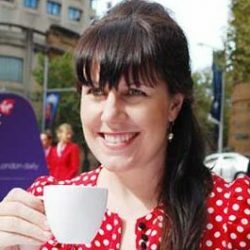 Michelle, first, let me say how grateful I am that you and your portal the High Tea Society are so generous with space and support for Ovarian Cancer Australia. I am involved because both my mother and grandmother suffered and died and I don’t want to see others have to cope as they did or watch it unfold as I did. It is cruel. With so many communication tools at our disposal it is now so much easier to get the word out to alert women at large not only in Australia but worldwide that they need to be vigilant and aware of the symptoms and not just ignore them or worse hope they go away by themselves! The Afternoon Teal campaign is held each year in February and supporters and friends hold events to raise funds for research, patient support and to promote awareness. The target for 2017 is AUD$500,000. My message is, “If tea is not your thing then a coffee klatsch will do, prefer to be outdoors a BBQ will be just fine, whatever floats your boat, have a dreamy idea that will translate into a fundraiser then go ahead and do it!” Register them all. Not a doer? Visit the Ovarian Cancer Australia website and check out the tab Get Involved then scroll down to the Find an Event button and make a point of attending local events, that’s easy, no muss no fuss! Just participate. 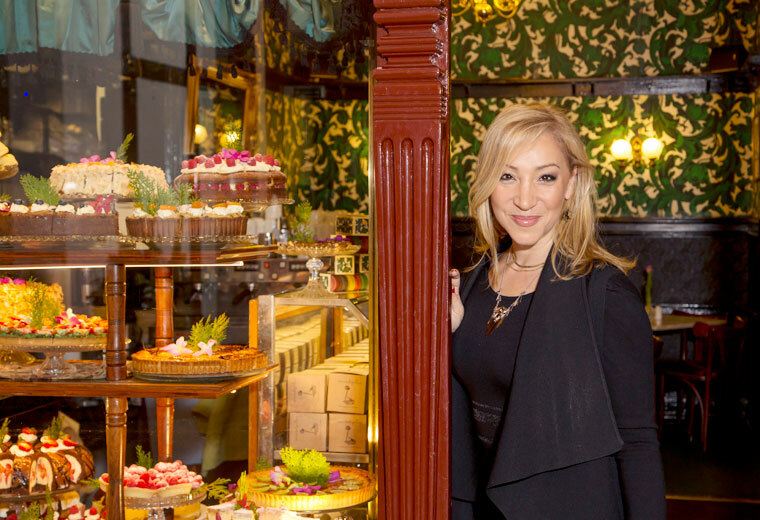 I have a wonderful collaboration planned with another of my all time favourite legendary tearooms The Hopetoun at the Block Arcade in Melbourne. Generous souls proprietors Kelly and Kon Koutoumanos will host a splendid morning teal (tea) 28 February 2017 to support Ovarian Cancer Australia and we will connect via Skype so I can personally welcome patrons myself. All are welcome to attend, but I am sure it will be an instant sell out. I am very excited about this endeavour because The Hopetoun is also celebrating 125 years this year, such an incredible milestone and a history like few others. 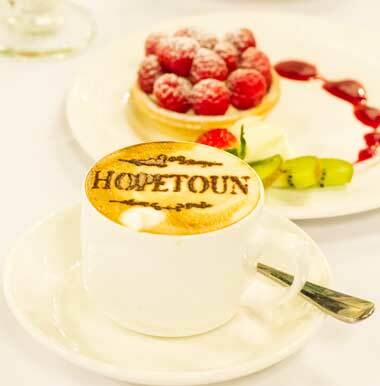 Three generations of my family have spent many happy hours at the Hopetoun sharing tea, chatter, birthdays and gorgeous desserts. Now it’s time to send out those invites, put on a pretty frock, slip on those heels, paint your nails teal and head out to put the fun in fundraise, remember ovarian cancer does not discriminate every woman is fair game! Symptom free or know a friend in trouble then support with a donation or by hosting an Afternoon Teal (tea). Hosts should register their Teal online and donations can also be made on the same page click here for the Afternoon Teal campaign website. Australians are some of the most generous people in the world and they make me proud. Thank you all for your valued support. And the slogan for 2017 is, KNOW ASK ACT! KNOW signs and symptoms; ASK for advice; ACT, do something about it don’t wait till it’s too late.